The Appalachians is a mountainous region that spans from the southeast to northeast. It is rich in folklore as well as folk music. Appalachian music is very difficult to define because of the diverse sounds. The people of the mountains live in isolation and are impoverished. They are known as our country’s poorest people. Creativity flourishes amongst their culture and is evident in their utilization of natural materials. Once such ingenuity is their invention of the cigar box guitar. The music of Appalachia is diverse and has been cultivated from the ballads of the British Isles. Their music reflects the very essence of the early pioneers. The mountain people’s music is based on the struggles of working the mines and trying to overcome harsh economic realities. When two origins marry together, they form the unique sounds of the mountain music. Anglo-Celtic and African American musical influences contribute to the birth of the Appalachian sounds. 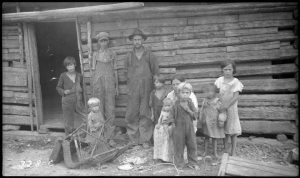 The Appalachian region saw an influx of lower class settlers from England, Wales, Scotland, and Ireland. As they arrived, they brought their style of music from their homeland. The isolation of being scattered remotely in the mountains, the settlers considered their music a part of their daily lives. Ballads were sung by women and were full of pain, emotion, and struggle. Instruments were used to accompany the vocals. The unique sounds of the fiddle or dulcimer were the very things that set the mountain music apart from all other folk music. 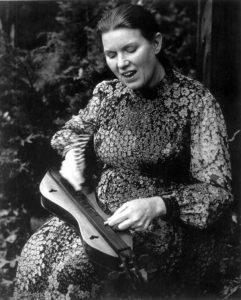 The dulcimer was the prominent instrument characteristic to the Appalachian culture. Also known as hammered strings, this instrument resembles an autoharp, but larger. The sounds produced on the dulcimer are angelic, light and fluid. The African-American influence blended the singing of the blues from the slaves along with incorporating the banjo into the music. The banjo came from Africa and became the staple of mountain music. 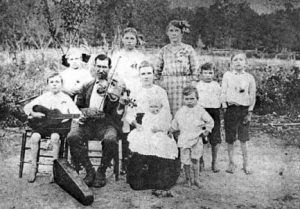 The backcountry settlers and people of the Appalachians developed the unique sounds of folk. Its roots go deep and represent the beautiful sounds of two cultures coming together. Oddly, the folk music of the Appalachians has remained unchanged for centuries while other music genres evolve and change to adapt to the change of society.